Curtis Andrews, well known local musican, presently living in Vancouver,will be leading a group of ten people on his first study trip to Ghana. 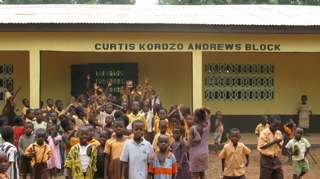 Curtis is known as one who has succeeded in fullfilling his vision of building a school in the village of Dzogadze, Ghana. On Mar.31 st, Curtis will be leading a group of 10 people on his first(but not the last) study trip to Ghana. “This is going be a unique culture-bridging experience/experiment . It is the next step in my journeywhich began 12 years ago when I met Ghanaian drummer Kwasi Dunyo at Sound Symposium in 1998”— says Curtis. The village in which the group will be staying is the village where the school was built almost one year ago. The village, Dzogadze, is presently very busy in anticipation oftheir arrival as they prepare in various ways for their arrival and stay. As there will be 10 people from the NL community going to that village, some of the members of the study group wanted to bring some gifts as a sign of appreciation and friendship to the people of Dzogadze (A custom among the people in Ghana). So, a special fundraiser/concert is happening on Thursday, Mar.11 at the Ship organized by several people who will be going to Ghana.Various well known musicians including Duane Andrews, Sherry Ryan, PaddyBarry together with others will mix the evening in addition to a silent auction. The parents of Curtis will also share a slide show presenation of their trip to Africa highlighting the school’s official opening. The aim is to raise some funds, not just for the education-based needs, but to help buy some medical supplies (esp mosquito nets), assist with development-related issues that may need addressing. Also they hope to receive some material donations that people may wish to donate such as children’s clothing ,soccer jersey’s, soccer cleats etc. Anything else (books, pens, pencils etc) are much cheaper to buy in Ghana. 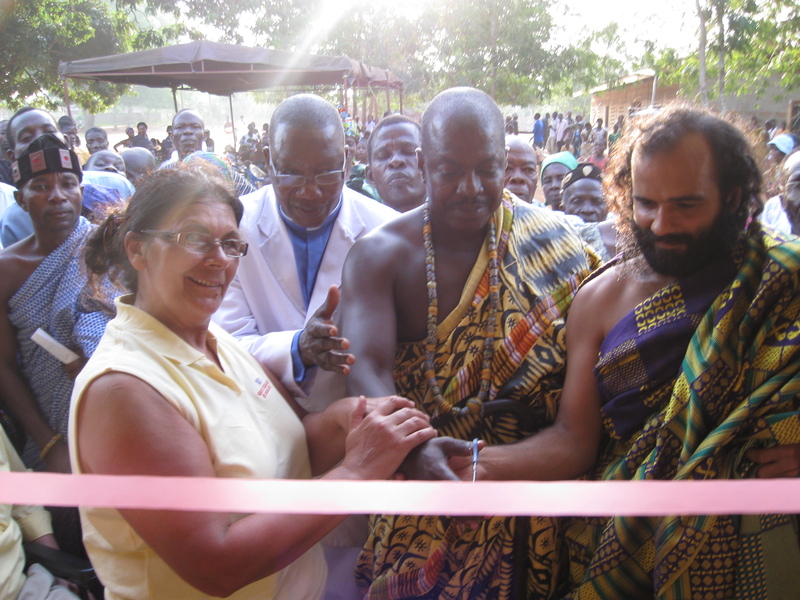 The aim is to not have to spend much money in Canada as the same money can go much further in Ghana. High on the list is a request for a computer system (or two)–or three oreven four !!!!!. This can come in the form of a desktop or a laptop. The aim is to establish a small computer lab (in the library) so that kids have the experience and knowledge of using computers (a subject which older students are actually taught and tested on, but with no real computer to work on!!). The system does not need to be top-of-the-line–new or used. Anything using a basic (but not archaic) version of Windows would work fine. The monitor is not needed as it will be difficult to carry along (and can be purchased cheaper in Ghana). Each week, WJB profiles one of its volunteers as part of its commitment to recognizing all their selfless contributions to our cause. This week, our featured volunteer is Ashley Miles. 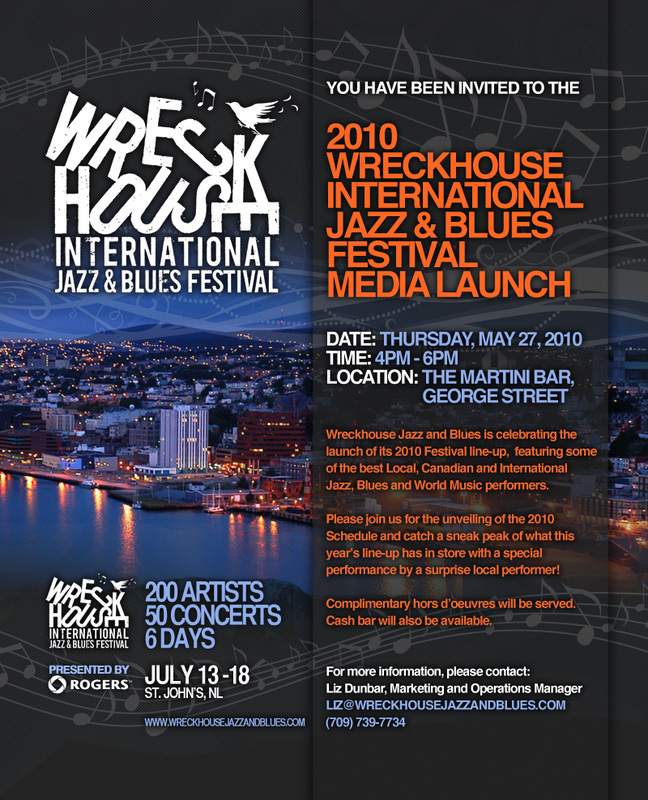 As a newcomer to WJB in 2009, Ashley played a variety of high and low profile roles during the Wreckhouse International Jazz & Blues Festival. She spent two days helping us administer our programming from our Festival Headquarters. During our events, Ashley attended to our merchandise table and helped to distribute our audience surveys. Her enthusiasm at this year’s festival earned her a 2009 Rooky Volunteer Award. 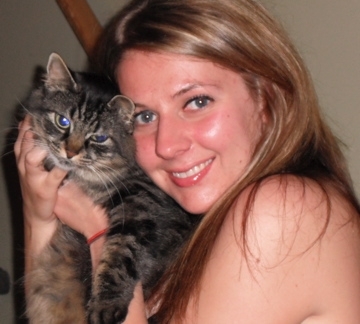 Outside of her involvement with WJB, Ashley displays her passion for volunteering with animal care organizations. She donates her time with both Heavenly Creatures and Beagle Paws as a caregiver, foster pet-parent and caseworker. In the future, she plans on lending a hand with the upcoming Juno’s in April. Ashley is 24 years old and is finishing her education in French, English and Communications at Memorial University. Additionally, she is employed full-time at the Canada Border Services Agency. Ashley’s interests include theatre, writing, film and staying active. February is Black History Month. It is an opportunity for Canadians to recognize the significant contributions that people of African heritage have made to the life of Canada in education, medicine, art, culture, public service, economic development, politics, and human rights. Above all, Black History Month is an opportunity for Canadians to understand the role the Black community has played in our history, a role that has been too often forgotten in our history books. The origins of Jazz and Blues music is attributed to traits carried from West African black folk music developed in the Americas in the early 20th century by descendents of African slaves. Jazz and Blues became an expression of the new freedoms attained by African Americans and like their growing role within society their music grew too, becoming an integral part of North American music and life. To find out more about African Heritage Month visit the website http://blackhistorycanada.ca/ were you will find more information on the history of African Heritage in Canada. Every day in February jazzonthetube.com will be featuring a jazz video that illuminates an aspect of black history. Wall-to-wall music featuring many of NL’s Favorite Soloists, Duos, Trios & Dance Bands. Starts 4:00 PM running til midnight. Admission is a $5 donation at the door for kids under 12 & $10 for adults, all proceeds go to the Red Cross in aid of Haiti Disaster Fund. Doors re-open at 6 PM for another night of Comedy, Musicians, DJ’s, Creative Dance & Dance Bands. Sunday night, join host Des Walsh for a special evening of ballads and storytelling. Most well known as a poet, Des scripted the adaptation of Bernice Morgan’s Random Passage and Waiting for Time for CBC Television. Des also co-wrote The Boys of St. Vincents for which he won many awards, included the coveted Gemini. He has been referred to as “a key participant in the St. John’s cultural rebirth of the 1970s”. Doors open at 7:00 PM. Tickets for the Sunday Night Concert will be pre-sold at a cost of $25 a seat with reserved seating. Call 709.579-3023.to book your space today.